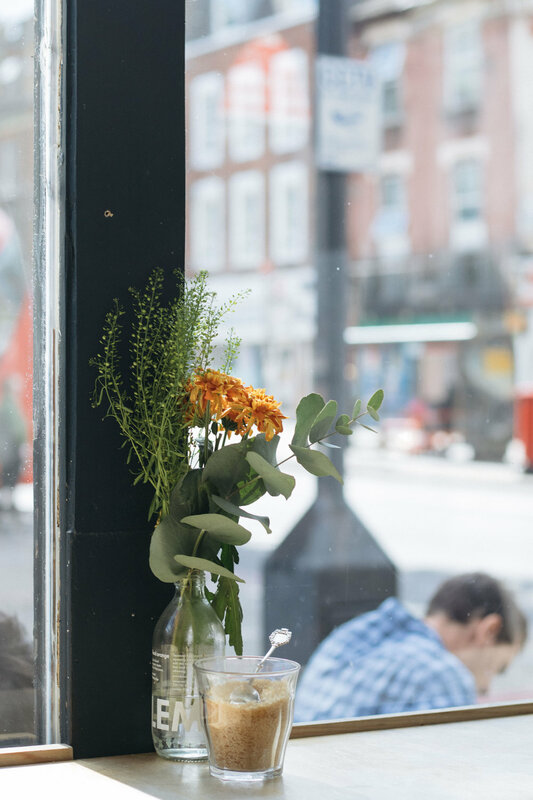 I think we can all agree that there’s nothing better than finding that perfect cafe. 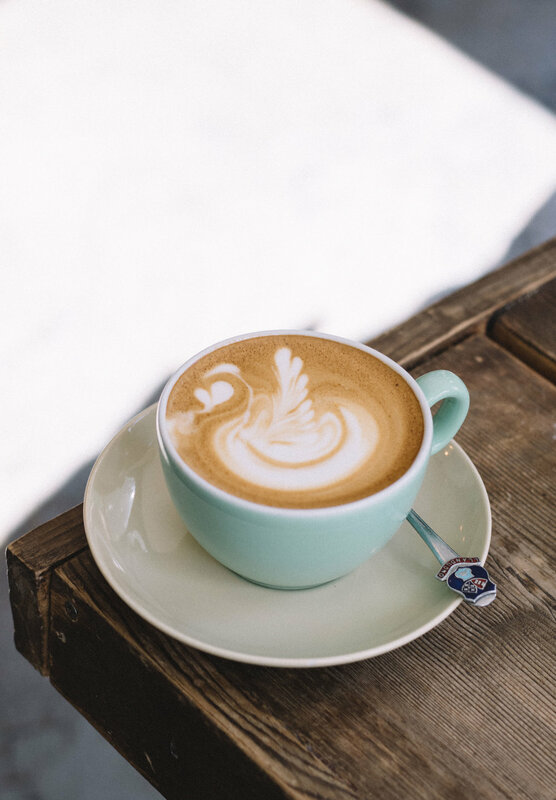 One that stands up to your coffee standards, has a selection of food that doesn't break the bank and of course a collection of pretty rad staff. I came across one of those London gems a few months back on Brixton Hill. A friend of mine, a local to Stir Coffee, had been raving about it for months, encouraging me to go. 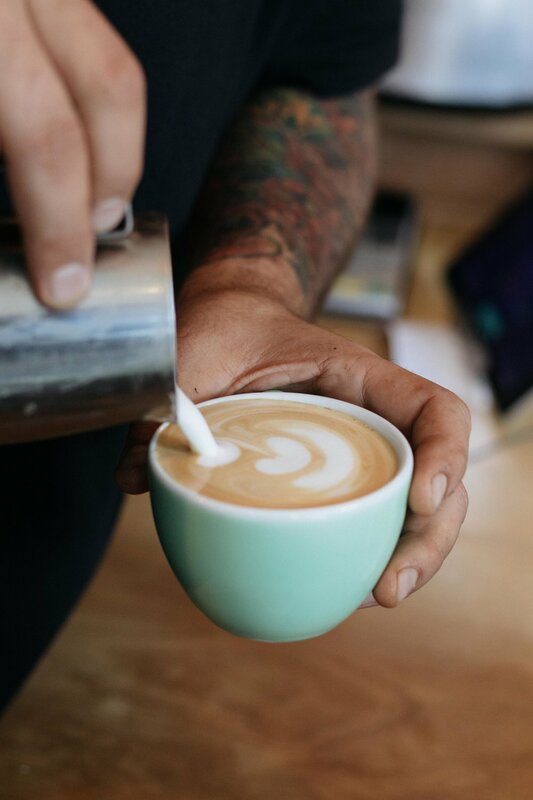 The aroma of freshly brewed coffee hits you as you first step into the local haunt. 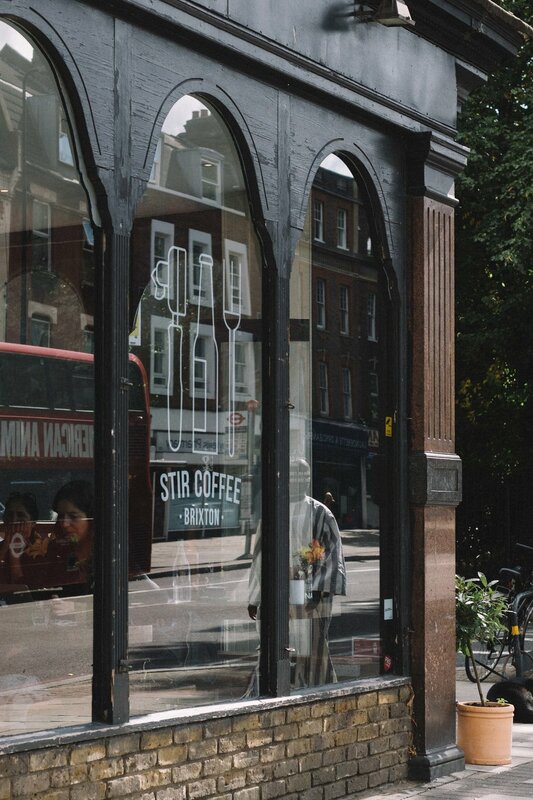 Stir is by no means a secret to the locals of Brixton. Nor can it be mistaken as such, with long (but surprisingly fast) queues that are usually reaching the door. Almost every new arrival is greeted by name and after my second visit I too became a part of this coffee community. From the folks working on their laptops, to the gaggle of mums with prams in tow it seemed the meeting place for everyone. Anton, the owner of Stir created this cafe setting out to do just that, create a place for the community to get together. To create a place that he and his friends would want to hang out in. Along with delicious coffee courtesy of Dark Arts Coffee they have some great alternative milks, granolas, sandwiches and cake. Oh the cake…. if you’ve got a sweet tooth their Vegan Chocolate Guinness Cake is no to be missed. Always moist, fluffy and rich with flavour, you won’t be disappointed. 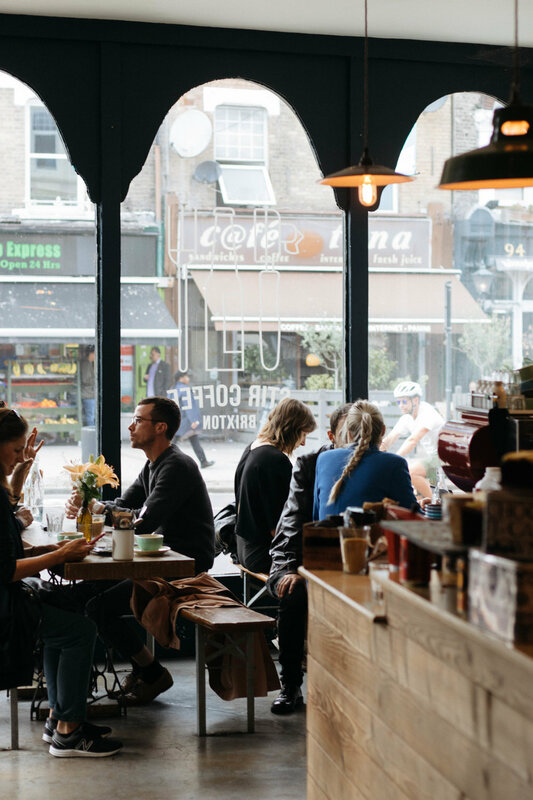 The next time you find yourself in Brixton head over to Stir for a cracking good cup of coffee, and then maybe some cake too.